SPACE FOR UP TO 9 RACKETS. You never knew how much stuff you needed until you have seen the Tour Team 9R Supercombi's spacious setup. 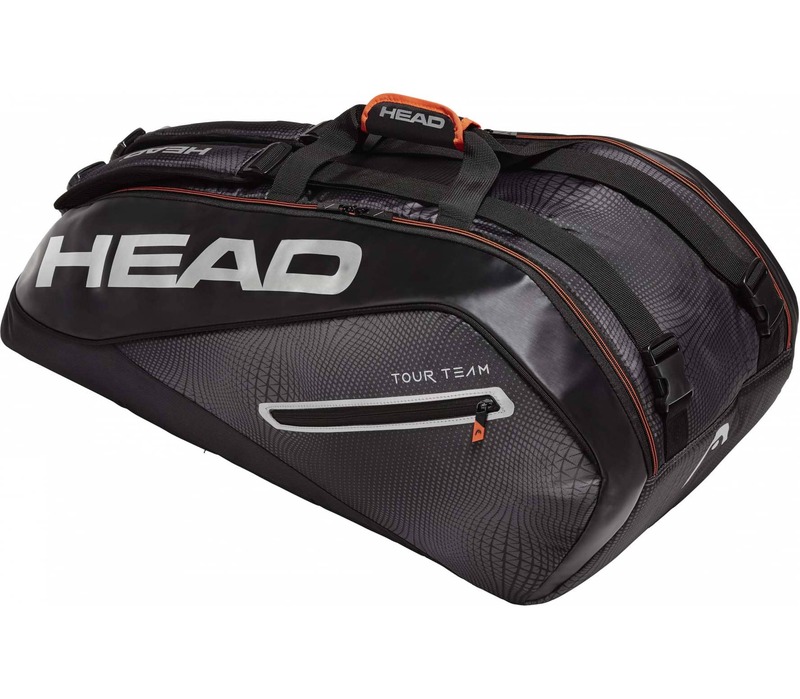 Up to nine racquets will comfortably fit in the two spacious compartments while one inside mesh pocket and the outside pocket provide additional space for quick access. The unique 2-way carry system lets you pick whether you want to flip the bag over your shoulder or onto your back for extra flexibility while on the road. And the climate control technology CCT+ in one of the main compartments keeps your racquets protected from higher temperatures. A modern edgy shape, the 9R Supercombi might be slightly smaller than the range's 12R Monstercombi, but is still your - and many tour players' - biggest supporter while travelling.